East-West LPG arbitrage is closed with the exception of the USG. I note that Saudi Aramco’s biggest competitor in the LPG market is now freight with Baltic VLGC spot rate is assessed at $128/mt while Japan/MEG LP spread is below $122/mt. Freight is rich/a very slow bbq season is priced in the USGC, will be funny to see how things will go. May/Jun VLGC Seasonality appears fully priced (markets believe that reduced demand will lower prices in the U.S and create arbitrage between east and west). Source: Data compiled from Platts, Argus, Clarkson. Platts states its LPG FOB assessment for Houston is at +$80/MT over the non-liquid storage tank ex Mt. Belvieu, TX. What traders and markets will do, take down freight ? LPG fleet owners have an opportunity to lock their rates for the rest of the year at record high. What owners will do to lock 1 Yr TC rate ? Surf this wave ?! Conditional to have a loading date in Houston and charter a LPG tanker, an arbutrage is still possible for traders between ARA-Houston and Japan-Houston. However, spots for LPG cargoes are extremely limited in the USGC. Targa Resources and Entreprise Partners terminals have only capacity for shipping 8 VLGCs cargoes per month each. 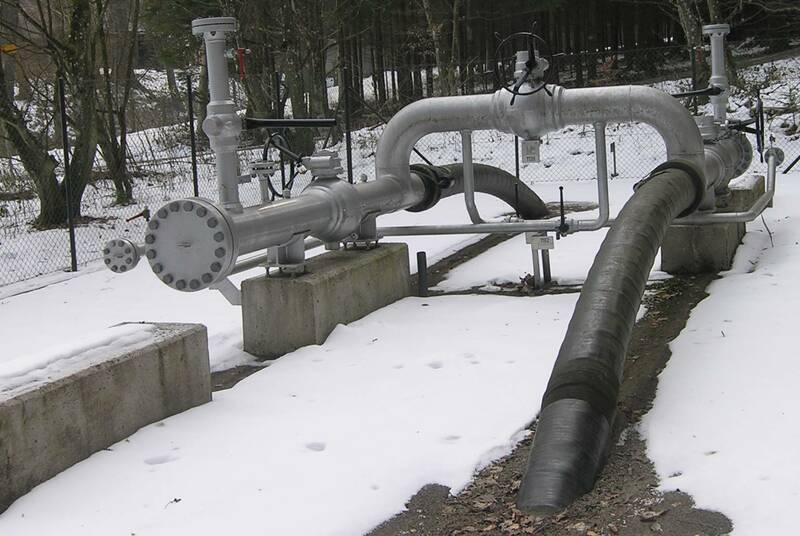 Among the reasons for the U.S LPG discounts on world’s markets are the surge of NGLs production from the shale gas drilling and a LPG infrastructure jam-lock in the Gulf Coast. The OPIS Swap Futures Curve for Mt. 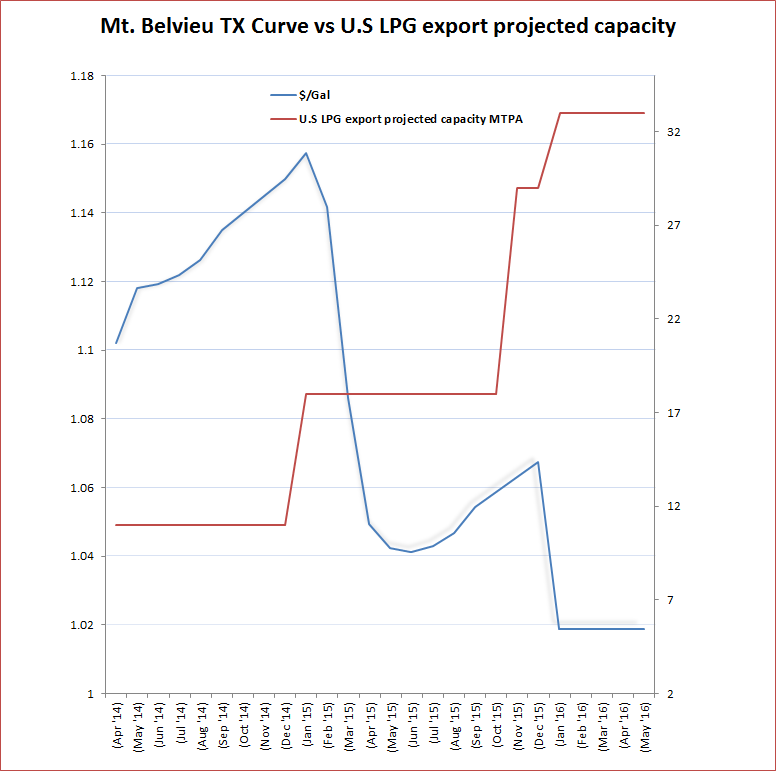 Belvieu is already pricing an easing of the Bottleneck in the USGC for 2015.